(A Christmas Spiritual). 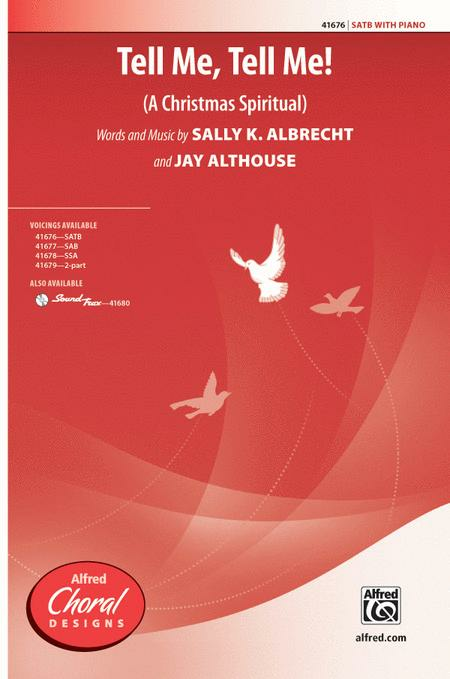 Composed by Sally K. Albrecht and Jay Althouse. Performance Music Ensemble; Single Titles. Alfred Choral Designs. Christmas; Gospel; Sacred; Spiritual; Winter. Choral Octavo. 12 pages. Alfred Music #00-41676. Published by Alfred Music (AP.41676).